Karl Carver gets low to take a caught and bowled. 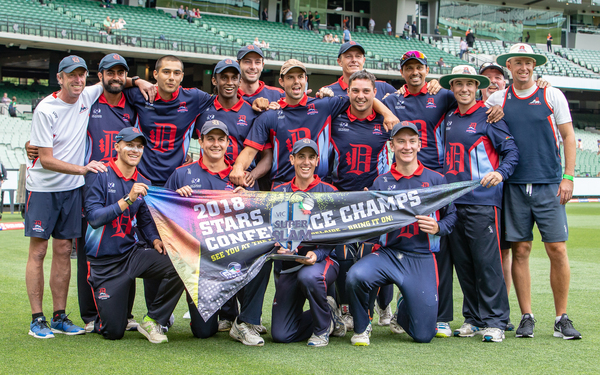 Leading into Sunday 27 January’s Victorian Grand Slam, Dandenong skipper Tom Donnell said his side would go in with no expectations, and to just enjoy the occasion of playing on the iconic MCG. “It’s a chance not many of us will get playing at this level – we’ll go in with no expectations and do our best, and see what happens. The guys will be loving it,” he said at the time. The Panthers relished the opportunity to be standing in the same position as some of the world’s greatest ever cricketers, defeating the Carlton Blues to back up their Stars Conference title win the week previous. It now means that the powerful club out of Shepley Oval is the reigning red ball, one-day and Twenty20 premiers, as well as the Women’s Premier Cricket Twenty20 premiers, capping off what has truly been a whirlwind, extraordinary year for the club. Tom Donnell’s side were sent in on the ‘G, and managed to score 9/122 on the big surrounds off the back of the skipper’s 25, Lincoln Edwards (20), Karl Carver (19) and Ed Newman (18), but were troubled by the likes of Aaron Smillie (1/22), Tom Smyth (2/16) and Eddy O’Sullivan (1/28), who crucially kept pace off the ball, only leaking seven fours and no sixes. The Blues – who were ironically rolled for just 49 in last year’s one-day final by the Panthers – were once again decimated at the top, with gun guest spinner Suraj Randiv (3/21) removing BBL hopeful Brayden Stepien second ball before the Blues slipped to 3/8 after Randiv broke through two more times in a matter of minutes. A splendid, daring knock by Blues skipper Nick Ross (71) had his side roar back into the game, but he was soon running out of partners. Ross crashed seven boundaries – the only batsman from his side to find the rope – and managed to bring the game into the final over. But his run-out meant game over, with the Panthers suffocating the Blues to restrict them to 8/115, with James Nanopoulos (1/22) and Pete Cassidy (1/21) extremely important towards the back-end. But it was the spinners in Randvis and Karl Carver (1/21) that proved the difference, with Carver’s first spell especially absolute class and perfect for the conditions. 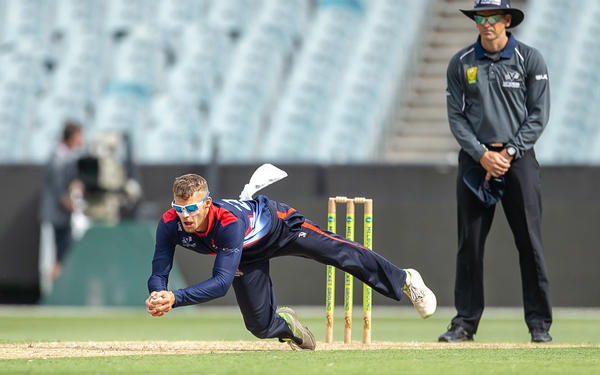 The Panthers will now travel to Adelaide in early March for the National Premier Twenty20 Championships, where they will take on nine different Premier sides across the country to determine the champion Twenty20 club side in the country.